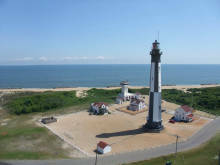 Ocean City Maryland is an idyllic resort town bordering the Atlantic Ocean and the Isle of Wight Bay. Home to beach goers, families, retirees, and young people alike, Ocean City’s boardwalk is full of fun for the whole family including and not limited to restaurants, specialty shops, the well-loved Fractured Prune, arcades, and hotels. The 10-mile long free boardwalk brings fun for everyone and features two well-known amusement parks, Trimpers Rides, and Jolly Roger at the Pier, as well as a Ripley’s Believe It or Not museum. Ocean City’s downtown is dotted with Victorian era style homes, local culture, and enjoys festivals and special events in the off season such as Winterfest of Lights, Springfest, and Bike Week at the Rowland E. Powell Convention Center. Residents enjoy fishing, boating, shopping centers, and the Northside Park, in addition to the city’s family beaches. The Town Center area is an extremely diverse, yet also quiet neighborhood in the heart of Ocean City, which is home to both retirees and families. Although Ocean City is a beautiful resort town where you can find people of all ages, and a variety of things to do, the cost of living in higher than the US average due it's desirability and proximity to the beach. Click on the tabs to learn more about what it's like to retire in Ocean City! Match me with 3 top Ocean City Realtors!